I’m constantly looking for new technologies and perspectives of PLM improvement. For the last time, we discussed many products and technological trends such as a cloud and cloud software social software, simplicity, open source software etc. However, I found one was not touched by myself at all. So, I’d like to open new discussion related to Virtualization Trend. In my view, virtualization becomes a strong trend during past few years. 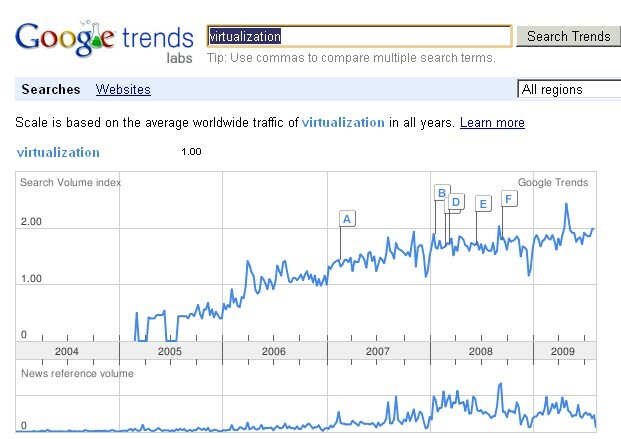 Below is my short test on Google Trend regarding virtualization. So, what is my initial take on virtualization and PLM? I’d define three dimensions of virtualization and will try to provide my assessment of how PLM uses it today as well as what is potential in my view. 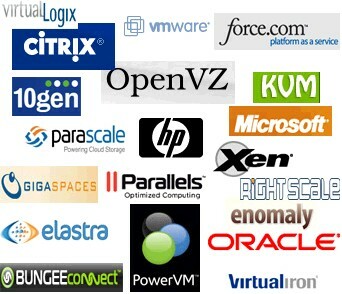 I think platform virtualization becomes mature and popular in IT as significant cost saver. On a server side, I see more and more virtual servers instead of physical machines in organizations. Coupled with cloud computing, hardware virtualization provide very strong offering an impressive ROI. PLM (as well as other enterprise systems) can use hardware virtualization and run in this environment. On a client side, VMWare and other “full virtualization” environment could provide efficient way to decrease IT cost and manage client workstation with heavy CAD/PLM environments. This type of virtualization often applied to software to become disconnected from a specific platform. Most of the application focus on ability to create virtual environment that can encapsulate desktop environment or stream application from remote server. In my view, PLM software didn’t make a lot to encapsulate “PLM servers”, but support for widely accepted HW and OS allowing to commercial software like Citrix and some others to support PLM application virtualization. This is last, but not least and very important in my view. There is no agreed clear definition of data virtualization. However, I see Data Virtualization as next logical step after Platform and Applications. There is on-going discussion about data virtualization. Some of the opinion makers claim data virtualization as a solution for data integration. Some of the companies implied data availability as way to present data virtualization. For me, PDM/PLM provides a major place where company stores and manages their IP and Knowledge about a product. Data virtualization in context of PDM/PLM can become powerful technology to improve data scalability, modeling and change management. However, this is mostly open question these days. This is my short intro in Virtualization and PLM. I’m looking forward to next thoughts and discussion.